These guys really thought being on the outside would be easier. And looks like our boy Peter isn't very good at taking advice. But where is everything else? And more importantly, where's the buffet of squirrel jerky?! 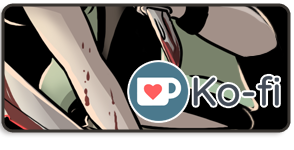 This week is the start of SpiderForest's Comic of the Week! Meaning that there will appear in this news area a link to one of the many awesome comics that are part of this network. First up is (DUN DUN DUN!) SOMBULUS! Imagine Sliders...with animaniacs like characters. Or as the creator puts it, "Sombulus is a humorous fantasy adventure in the spirit of Discworld and style of a shounen manga." As I'm a Terry Pratchett junkie, umm...win. Please do go check it out! 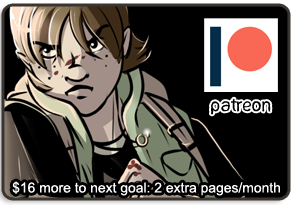 All the comics on SpiderForest rawk pretty hard! And don't forget, at 250 likes on the FB fan page for WiT and tWoW (my other comic), I will draw 3 winners to receive What it Takes issue 1 with original art inside! Only 80 people to go!